While away this week in Cologne for gamescom, our good friends at PESFan UK managed to secure a quick Q&A with Adam Bhatti and other members of the PES Development team. Here are all the juicy (and not-so juicy) details from today's interview. As yesterday's press release stated, PES 2015 will feature rain. Although weather options will impact gameplay, snow will not make the final game as, in Konami's words, the "more prominent" weather options were prioritised during the game's development. 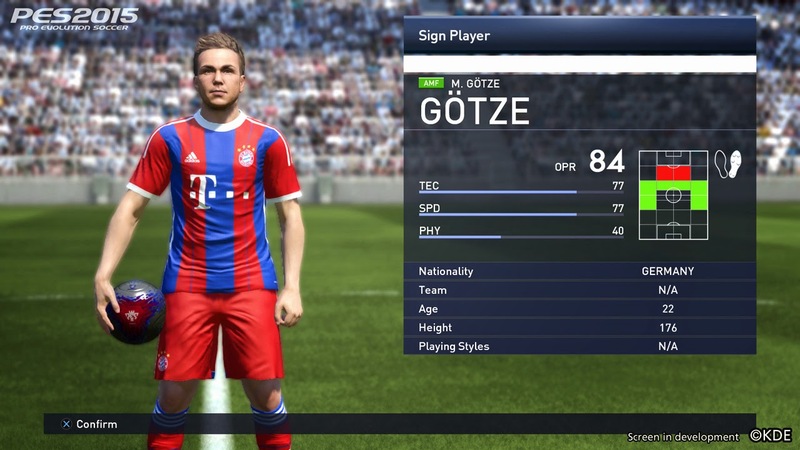 Meanwhile, it's been revealed that the PC version of PES 2015 will "use an upgraded and enhanced version of the PS3 engine", with additional upgrades such as "improved rendering". The PC release will include the "same modes and gameplay" as the PS4 and Xbox One, as well as "better visuals" than the PS3 and Xbox 360. According to Bhatti, the team's focus was "accessibility and quality". PES 2015 will not be coming to the PlayStation Vita. Customisable set pieces won't make the final game, although Bhatti revealed they are currently being worked on for the future. Moving on to brighter news, PES 2015's new-and-improved Master League will include cut-scenes for "award ceremonies and presentations". Players will be visible on the substitutes bench during games. And like we saw on PES 2014, kits will get muddy as the match progresses. The demo (out on September 17 for PS4, PS3, Xbox One and Xbox 360), will be "very close" to the final game. Although, with a two-month gap between demo and release day (November 13), the PES Team have assured improvements will be made to gameplay and visuals. To those wondering about licenses, these will be confirmed closer to the game's launch. For stadiums, the final list cannot be released yet, however, PES 2015 will feature more stadia than what we saw on PES 2014.